Middlesbrough netted two first-half goals to gain a comfortable 2-0 victory at Craven Cottage against Fulham. In front of a watching Jose Mourinho, the victory lifted them to the same points tally at Hull to keep them well within touch of an automatic promotion place. The hosts had the perfect start after just three minutes - Stewart Downing found space on the left to cross into Albert Adomah who was left alone in the area, for him to head home his seventh goal of the season. Ross McCormack nearly equalised for the home side on nine minutes, when his left-footed shot flashed just wide of the post. The visitors doubled their lead on 20 minutes, when Chris Baird upended David Nugent in the box. Captain Grant Leadbitter sent goalkeeper Andrew Lonergan the wrong way from the penalty spot. 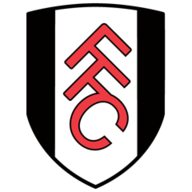 Fulham suffered a further setback when Ryan Fredericks limped off two minutes later, although he had a more than adequate replacement in Moussa Dembele. Downing turned a cross just wide on 32 minutes, from an acute angle, while substitute Dembele was denied from a spectacular overhead kick by Dimi Konstantopoulos six minutes before the break. The hosts were denied two minutes later with an excellent clearance off the line from Ritchie De Laet, after a header from Michael Madl. The second half started off quietly, with Middlesbrough looking to kill the game off as a spectacle. Fulham made their second change of the afternoon on 57 minutes, with Baird replaced by midfielder Zakaria Labyad. Downing had the first effort of the second half on 64 minutes, when he was fed through by Adomah, but his effort was well blocked by captain Scott Parker. Slavisa Jokanivic made one final change for the home side, on 68 minutes, when he replaced Ryan Tunnicliffe with Jamie O'Hara. Although Fulham put on more pressure on the Middlesbrough goal, they were let down by wild and inaccurate shooting. Dembele came close on 83 minutes with a turn and shot in the penalty area, but his close range effort went over the bar. The day of the hosts got even worse on 86 minutes, albeit in controversial circumstances. Richard Stearman was shown a red card for fouling substitute Jordan Rhodes - however, the defender had slipped to foul the striker in his own half. 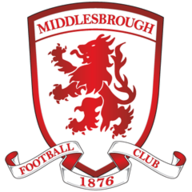 With six minutes of injury time awarded, Middlesbrough were able to close out the win to push themselves back into the promotion race.